One of the Bay Area’s two Major League Baseball teams is looking at building the first 3S gondola in the United States. 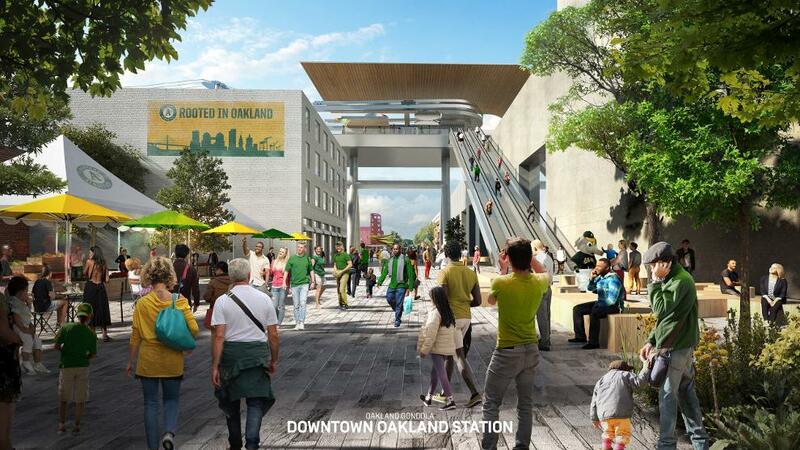 The $123 million system would transport up to 6,000 passengers per hour and direction between downtown Oakland and a new waterfront ballpark, becoming one of the highest capacity lift systems in the world in 2023. Thirteen or so 35 passenger cabins would depart approximately every 21 seconds at full speed, yielding a three minute trip from the BART regional train network to the stadium near Jack London Square. 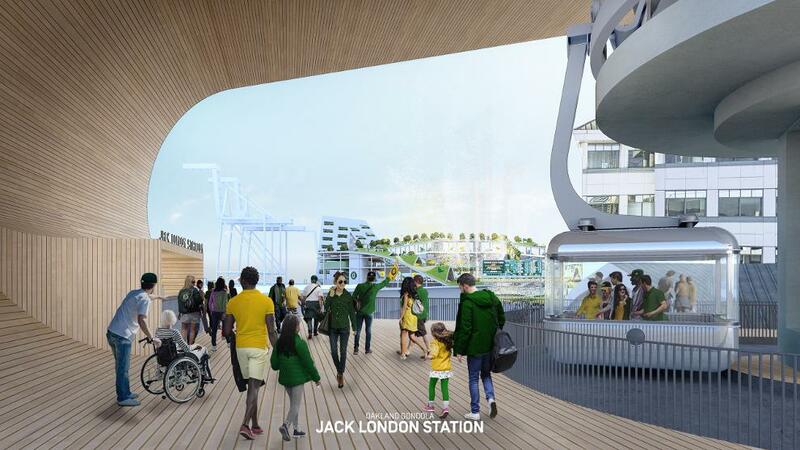 The gondola would be feature just one tower between stations thanks to tricable technology, which can traverse large spans while achieving high throughput. A’s President Dave Kaval noted at a Saturday press conference, “I think anyone’s who’s sat in traffic in the Bay Area, which is everybody, realizes there’s a need for new, innovative transportation options.” He continued, “In terms of transportation systems, we feel [a gondola] is a great investment and a great way to open up this part of the city and remove that original barrier of the 880 that cut off the waterfront from downtown Oakland.” Over the first ten years of operation, the gondola could generate $685 million in economic benefits through construction work, new jobs, increased taxable sales and time savings for commuters according to a study completed by the Bay Area Council Economic Institute. The lift would service an estimated on million riders a year with an operating cost of $4.6 million. 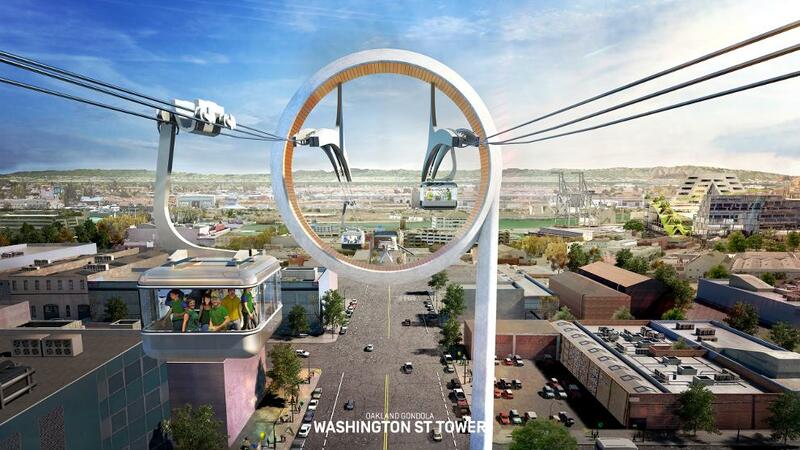 Oakland is already home to two cable-driven transportation systems, both built by Doppelmayr. A monocable detachable gondola links new and old sections of the Oakland Zoo and a $484 million ropeway people mover links the Oakland Airport to a nearby BART station. The Athletics’ 3S would be the first installation of its kind in America, unless the Los Angeles Dodgers beat them to the punch. “We are in discussion with a few companies and plan to select our partner soon,” says Kaval.